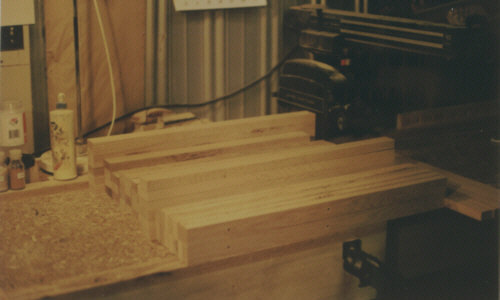 These are some of the pieces it takes to make up the "butcher block" top, bottom and sides of the cabinet. 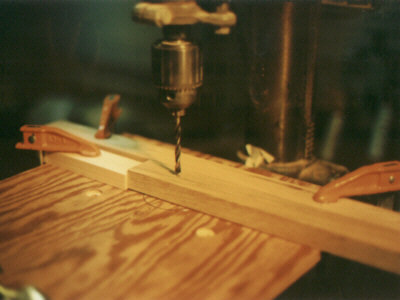 The holes have been drilled using a simple jig shown in the picture on the right. They're used to facilitate alignment during glue up.